“Corporate culture should not and cannot be imposed in words – it should be experienced” – firmly believes Nina Stancheva, CEO of Debt Collection Agency EAD, part from the Norwegian B2Holding. 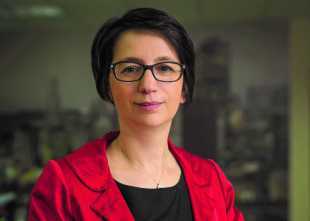 Nina Stancheva is CEO and a co-founders of Debt Collection Agency (DCA) EAD, one of the leading companies in debts buy-outs in Bulgaria and Romania, which was acquired in 2016 by the Norwegian B2Holding. She has solid experience in the management of of non-performing receivables. She has graduated in Trade from the University of National and World Economy. Mrs Stancheva, how do you transfer the achieved financial success to the field of human resources development, which is a very difficult market? – Our leading position in the sector reflects the good cohesion between satisfied customers and employees. We believe that the good team can „steer the ship” skillfully in every direction. Therefore, after the investment of B2Holding in the company, we follow a team expansion strategy. We invest in training our employees, take care of the right balance between their personal and professional lives, ensure a steady increase in their income and social benefits, we keep the ethical standards of work. We work together to build a corporate culture that unites the uniqueness and the emotions of every employee in our offices. Success is due to investment in human potential. After Debt Collection Agency was acquired by the Norwegian leader B2Holding, how were the HR policy and the perspectives for development changed for the Bulgarian team? – Our acquisition by B2Holding is a high assessment of what has been achieved by Debt Collection Agency. We believe that each of us will continue to make efforts and work professionally. In this sense, our HR policy will preserve its direction, but the difference is that we all will express our ideas and dreams in a multicultural environment which brings with it a lot of challenges as well as benefits. The access to a new know-how, the exchange of experience and knowledge and the projects across borders are part of the new opportunities. The perspectives are really positive. What is the attitude of your employees when they come to work and, correspondingly, what is their self-esteem at the end of the day? – Our management has a leading role in setting a fine example and a harmonious system of values. Leaders are the driving force of change in our company and the best ambassadors of our culture. Because corporate culture should not, and cannot be imposed in words – it is lived through. With their work and attitude, managers set a role model and inspire others. We realize that every change is a challenge, but an inevitable one, in order to progress and move forward. This stimulates the people who contribute to the development of DCA. Most of the colleagues belong to generation Y, where the main strive is enhanced by the desire for rapid growth. In a multicultural environment, this forward and upward development is possible even faster. What is the profile of your employees and what type of employees do you look for? – Dedicated, curious and ambitious. With a big part of our staff, we have been making the history of DCA since the very beginning. By internal growth mechanisms, they pass through different hierarchical levels, which allows them to deepen their knowledge of the business and its peculiarities, as well as gain valuable experience. Our team members are flexible, they manage change successfully, they embody a specific organizational culture, and share one religion – everyone’s personal contribution and success contributes to the success of the company.